One of the seven wonders of the modern world, the Golden Gate Bridge is perhaps San Francisco’s most famous landmark. Its magnificent single-suspension span is anchored by twin towers, and it’s easily identified by its iconic orange color. The East Sidewalk is open to pedestrians, including wheelchair users. 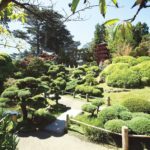 The Golden Gate Park, home to green lawns, exquisite gardens and tranquil lakes, is a must-see oasis in the city. Special attractions include the Conservatory of Flowers and a Japanese Tea Garden. You’ll even find a waterfall and windmills! 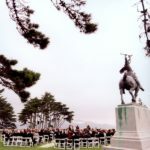 The park is also home to two of San Francisco’s most popular museums. 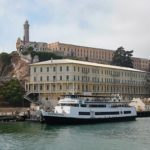 A former prison housing the likes of Al Capone and George “Machine Gun” Kelly, Alcatraz Island is one of San Francisco’s most popular attractions. An exceptional audio tour — complete with interviews of inmates and correctional officers —takes you through the penitentiary’s history. It’s a must-see. Reservations on the ferry sell out fast, so make a reservation as soon as you can. 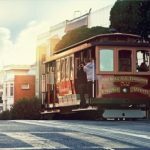 The legendary cable cars run down three routes you must try, but you may also want to check out the Cable Car Museum. Small but informative, the museum allows you to see historic cable cars and mechanical displays. After 11 pm all patrons must be at least 21 years old. 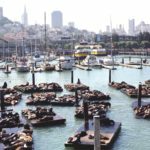 PIER 39 offers amazing views of the bay and San Francisco’s skyline (and sea lions!) along with two levels of dining, entertainment and shopping. 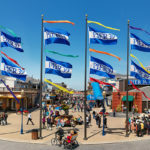 The pier is also home to many individual attractions, like the Aquarium of the Bay. Expect to see street performers and live music. 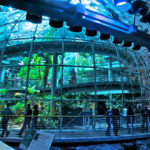 Explore earth, ocean and space at the California Academy of Sciences, located in Golden Gate Park. This unique museum features natural history exhibits, an aquarium, a large digital planetarium and a four-story rainforest under a 2.5-acre living roof.. 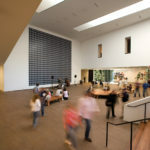 Located in the Golden Gate Park, the de Young Museum mainly showcases historic and modern American art, but it also features exhibits for European, African and Oceanic art and textiles. San Francisco’s Chinatown is the largest outside of Asia and the oldest of its kind in North America. Chinese temples, theaters, workshops, shops, teahouses and traditional pharmacies fill the area. The main street for tourists is Grant Avenue with a special gateway entry at Grant Avenue and Bush Street. 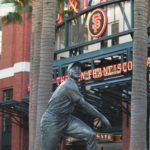 Tour the historic home of the San Francisco Giants, Oracle Park. You will not only get a look at behind-the-scenes action, but also step out on the field and sit in the dugout. There’s a new museum space, too. 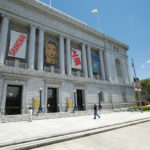 The Asian Art Museum has amassed an extensive collection of sculptures, paintings, bronzes, ceramics, jade carvings and architectural fragments from Japan, Korea, China, India and other Asiatic cultures. The works span more than 6000 years. 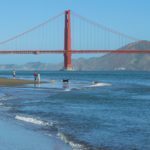 One of San Francisco’s most popular areas, Fisherman’s Wharf is home to an eclectic mix of attractions, restaurants and shops along the waterfront. 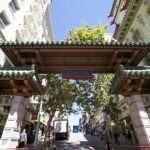 Here you’ll find Madame Tussauds Wax Museum, the San Francisco Maritime Historic Park and more than 130 places to shop and dine. 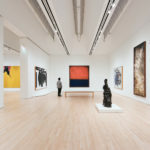 Recently renovated, the San Francisco Museum of Modern Art was the first West Coast museum devoted to modern and contemporary art. Its 10 stories feature a wide range of rotating exhibitions, six art-filled terraces and a sculptural staircase. 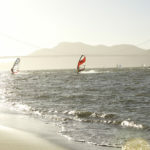 Visit Crissy Field for stunning views, scenic beaches and tidal marsh overlooks. You’ll also find the Warming Hut, a café offering snack, sandwiches, drinks and eco-friendly merchandise. The Legion of Honor museum houses a collection of European art spanning four millennia, all in a historic French neoclassical building. It’s set in Lincoln Park, which offers its own scenic views.